Back in October, I met up with Tom Julian ’84 over at Nordstrom’s at Ross Park Mall where he was signing his new book, the Nordstrom Guide to Men’s Style, a comprehensive fashion guide for men. I had written a cover feature about Tom for the spring 2008 issue of Foundations magazine, and I was happy to finally meet him face to face. Being somewhat clueless when it comes to fashion, I was intimidated – to say the least – to meet such a legend of the fashion industry. But Tom was just as friendly and personable as can be, and if he had any critique on my choice of clothing, he very kindly kept it to himself. When it comes to fashion, Tom’s your man. In addition to being the president and founder of Tom Julian Group, he has also chronicled red carpet trends for the Style Section of for oscar.com, the official website of the Academy Awards. Now Tom is back for more with his latest release, the Nordstrom Guide to Men’s Everyday Dressing. 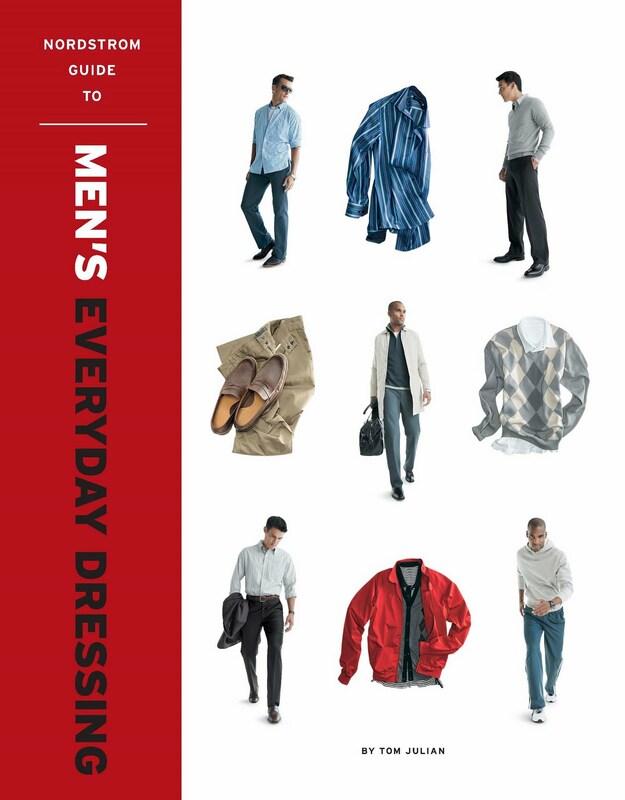 Stop by Nordstrom at Ross Park Mall on Thursday, March 18, between 6-8 p.m. to meet Tom, get a signed copy of his book, and get some great fashion tips for yourself or the man in your life. To RSVP, or for special accommodations, call (412) 548-4300, ext. 1220. Few people know the latest fashion trends better than Tom Julian. And now he’s got not one but two books to prove it. RMU knows fashion. Who knew? "We were pretty much waiting to die"
I just learned that RMU alumnus Luther Lockhart will be on Oprah Tuesday for a reunion with his fellow passengers of U.S. Airways Flight 1549, which had to make an emergency landing in the Hudson River on Jan. 15. Everyone on board survived. Luther shared this harrowing experience with RMU’s Foundations magazine. You can read the article here. We’re grateful that Luther and everyone else on board is here to tell the tale. Many of you already know that a major event of great international import takes place this week in the Pittsburgh area. Yes, I am referring to RMU’s Homecoming. But this week also sees Pittsburgh playing host to the G-20 Summit. As a service to the thousands of international visitors who are descending on our fair city, RMU students and staff have prepared downloadable walking tours of downtown Pittsburgh in 10 G-20 languages. Click here to download a tour. You can also learn about RMU’s other international initiatives here. Speaking of Homecoming, we certainly hope to see you Saturday. In addition to the usual festivities, our alumni magazine, Foundations, will be hosting a booth where you can get a picture taken for your own personalized magazine cover. You’ll also want to bring along a business card, so you can enter it into our Colonial prize pack raffle. And you tweeters, take note: Whoever sends the best RMU-related tweet during the football game against Bryant will receive a prize pack at the end of the third quarter. Just follow http://twitter.com/rmunews and use the tag #rmusports. "A New Deal for Veterans"
Inside Higher Ed features an interview today with the authors of a new history of the original G.I. Bill, which is titled “The GI Bill: A New Deal for Veterans.” The G.I. Bill is popularly considered to be the most successful piece of domestic legislation in American history, credited with vastly expanding access to higher education and home ownership in the years following World War II. The G.I. Bill arguably created the modern American middle class and transformed the post-war economy. The interview also touches on the differences between the original G.I. Bill and its post-9/11 iteration, but fails to make mention of the Yellow Ribbon Program, which many private institutions like RMU are using to help veterans bridge the gap between our tuition and what the G.I. Bill pays. The latest edition of Foundations magazine includes an article about the old and new G.I. Bills, and President Dell’Omo discussed them in his letter in the magazine. U.S. Airways Capt. Chesley “Sully” Sullenberger got a rock star’s treatment during his testimony today before the National Transportation Safety Board, according to the Wall Street Journal. It turns out there is an RMU connection to Flight 1549, which Sullenberger successfully guided to an emergency landing in the Hudson River after geese were sucked into the plane’s engines. Luther Lockhart, a 1999 RMU graduate, was a passenger on board that brief but harrowing flight. He gave an account of the flight and its sudden landing to Foundations magazine, which is available online here. Thanks, Sully, for keeping our folks safe. Kudos to City Charter High School for receiving an Effective Practice Incentive Community Award. This makes us particularly proud given the number of RMU alums who work there, which can you read about in this recent Foundations magazine article. The RMU club ice hockey team merits a mention in today’s Press of Atlantic City, which brought to mind a recent article in the New York Times about the growing popularity of club sports at colleges and universities nationwide. At RMU, more than 230 students participate in the university’s growing club sports program, which includes 18 teams. You’ll get to learn more about RMU’s club sports program in the upcoming issue of Foundations magazine, due to hit mailboxes — and the web— next month.